​Ladies and gentlemen, the two-time, back-to-back, 1993-1994 Blockbuster video game champion is back on Twitch. And guess what? He was so close to breaking the ​single stream Twitch viewer record set earlier this year by Tyler1. I mean, how can you blame him? 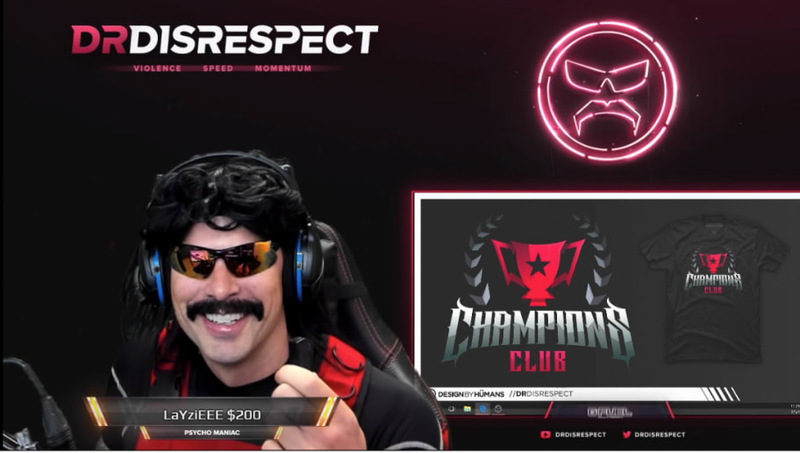 The six-foot eight gaming powerhouse, now of the newly rebranded Champions Club, was one of the most entertaining, if not the most entertaining, streamer on the platform before taking a hiatus. He became the center of controversy when he took a hiatus in December stemming from him on stream ​saying he was unfaithful. After a month an a half break, it's clear his return has sparked interest in the gaming community. His return was bound to bring in numbers. Oh, and he broke Twitch for a bit in the process. Within 20 minutes Doc had over 300,000 viewers and was reeling in $250 donations like it was nobody's business. He also claimed over 7,000 people had subscribed to the Champions Club. He also won his first game back.